Floor refinishing in Atlanta is a thriving market due to the great number of hardwood floors which were installed in our area over the past century. In fact, the hardwood floor remains a popular choice today despite the wide choice of modern alternatives. When you consider the expense involved in having a new hardwood floor installed in your home, not to mention the incredible inconvenience you have to suffer while the job is being carried out, it is easy to see why there is such a demand for the service and why, when it comes to hardwood floor refinishing, Atlanta is so well covered. There is still, though, the initial choice to make. While a floor refinishing may seem like the obvious choice in many cases, it isn’t always the best option. There can be a variety of reasons for this. Maybe your floor has become severely warped and will need replacing anyway in the near future, even if you don’t replace it now. Maybe the floor surface has become damaged, and the damage runs so deep that it will be a huge job to repair the floor, or maybe you want to start over again with a laminated floor, or just a different type of wood. Floor refinishing alone is by no means your only choice. FlooringAtlantaNow can offer you many other flooring alternatives to bring rich and luxurious beauty back into your home! If you have definitely decided to carry out hardwood Floor Refinishing in Atlanta, we can provide you with the service you will need. As long as there are no serious problem areas, where the floor is warped or where there are severe or deep scars, FlooringAtlantaNow will be able to give your home the beautiful results you are looking for. To refinish your floors, one of the most important tools used is a floor sander. Floor sanders need to be operated by a highly skilled contractor to avoid the possibility of a deep groove being left in the surface, which could damage your floor beyond repair. There are many new and modern floor sanders, some which are orbital and easier to control. If you have ever contemplated taking on this type of job yourself, you may have found yourself feeling a little apprehensive. 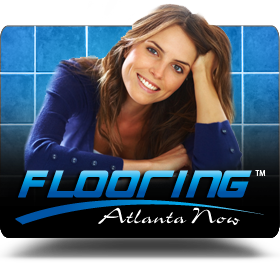 Your alternative, of course, is simply to have FlooringAtlantaNow do the job and take all the worry out of your floor refinishing needs. If you are looking for hardwood floor refinishing in Atlanta, our team at FlooringAtlantaNow can give you the results and service you are looking for. Our company is well established, and we have many satisfied customers in the greater Atlanta, Georgia area. If you have a large circle of friends, or extended family in the Atlanta area, it is likely that you will know somebody that has had a floor refinishing project carried out by FlooringAtlantaNow. 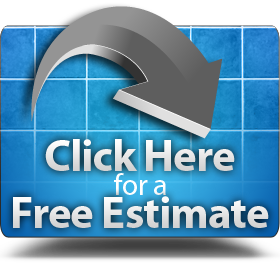 When it comes to floor refinishing in Atlanta, you have to make a wise choice as to who does this important work on your home. Why trust a name you’ve never heard of? Instead, go with our skilled refinishers at FlooringAtlantaNow. Take our many years of experience and knowledge, and put them to work on refinishing your floors to restore them to their previous, rich beauty! If you have any questions, or need additional information about our hardwood floor refinishing services in the Atlanta, Georgia area, please Click Here for a no obligation estimate, or give us a call today at: (404) 201-2513.